You may have already noticed that D&B studios have once again been filled with camera crews after a second season of the Channel 4 structured reality programme- Stage School has been commissioned for this year. The show, which had a successful premier last year, will once again feature students and teachers from D&B Academy. 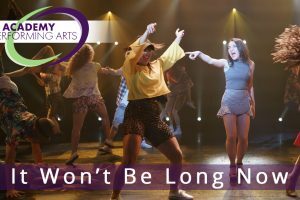 For anyone who may not have caught the first season, Stage School follows the students of D&B as they navigate their training in the Performing Arts with singing and dance routines all performed by the talented pupils. We are very excited about this new season. This time it includes D&B performers from the Theatre School as well as the College, with some familiar faces as well as some new faces and the new series collaborates with a Major record label. We look forward to it hitting out screens in the autumn. Could you be a new face in StageSchool?